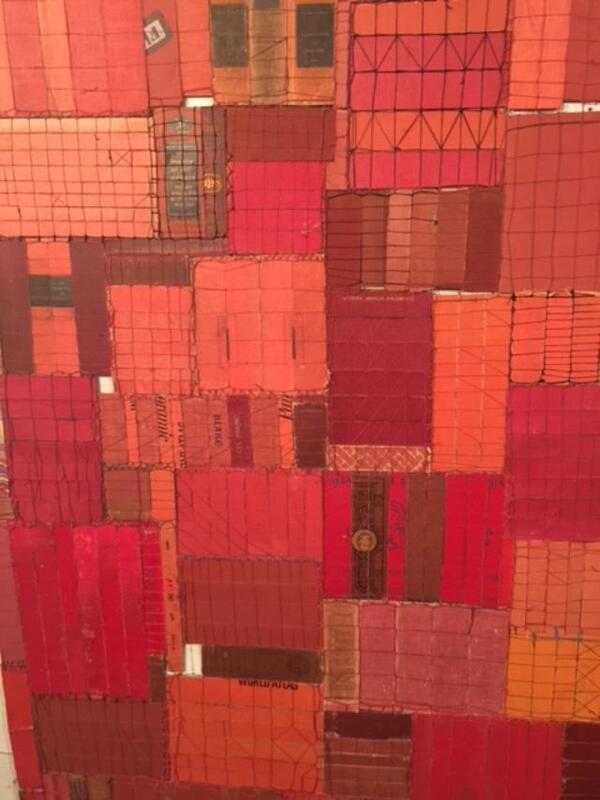 In the collages of Abbie Read, we see investigations into the myriad compositions to be derived from a limited palette and an embracing of the grid to organize space on the two dimensional surface. 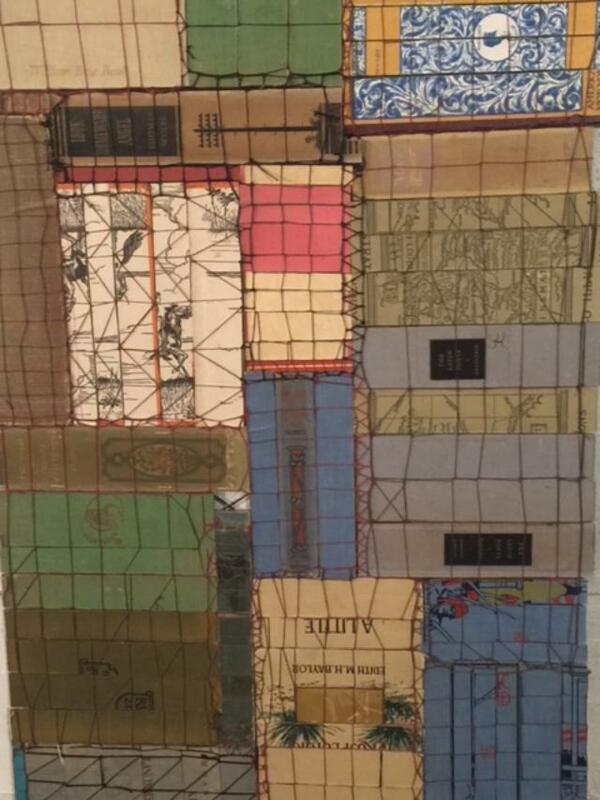 In other works, old books are deconstructed to become the raw materials for quilt like wall hangings, assemblages or free standing sculptures. “The physical act of repetitive sewing and knotting, the arranging of layers upon layers of paper strips, the expression of tactile surface while exploring abstract spatial possibilities in the creation of beauty, is what keeps me working,’ writes Read.